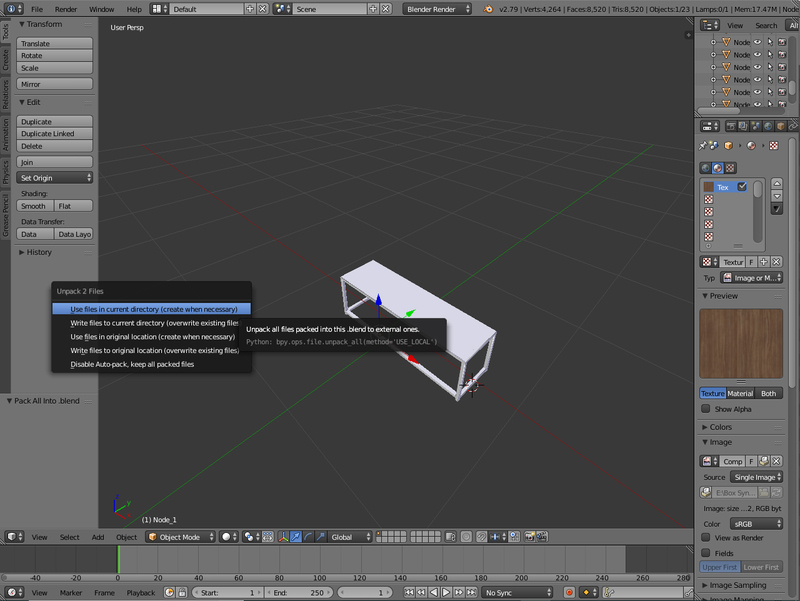 Please note that Blender's internal renderer must be used and Cycles Render is not supported. 1- In the viewport of Blender, go to the menu and select export Wavefront(.obj). 2- When exporting, make sure you have the needed options ticked (bottom left panel). If your model has materials, please tick "Write Materials" that will generate a .mtl file. The .mtl contains the settings of the materials used in the 3D model, you will need to zip it with the .obj file to upload your model into Augment. If your model uses textures, please also add them to the zip. 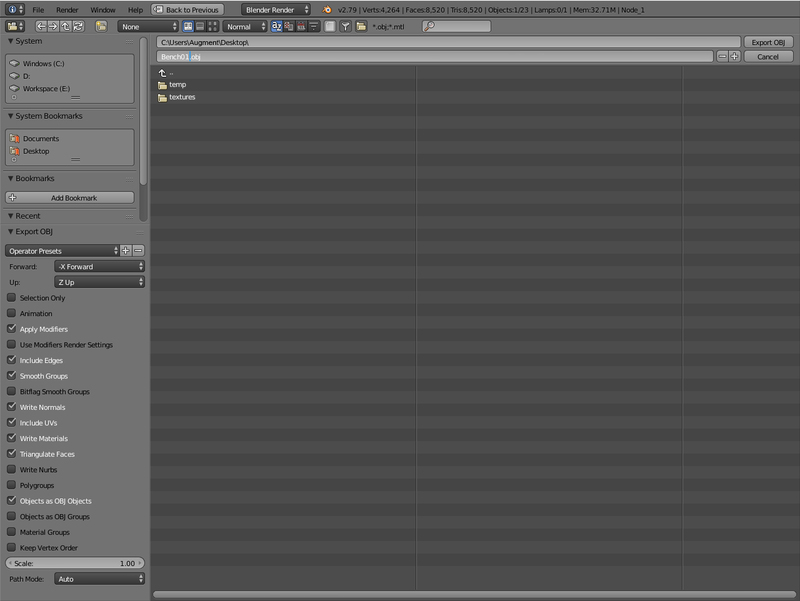 1- Save your Blender file (.blend) in the same folder as your .obj file, if you didn't already. 2- Click on File/External Data/Pack All into .blend. 3- Click on File/External Data/Unpack All Into Files. 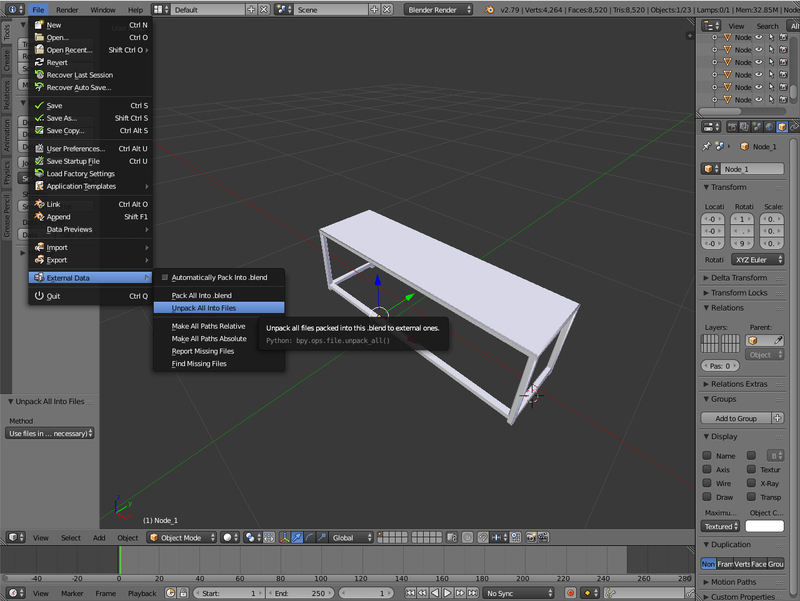 4- Choose "Use files in current directory (create when necessary)"
Doing so will generate a folder "textures" that includes all the textures used in your 3D model in the same folder as your blender file and your .obj file, making it easier to compress in a zip archive file and upload into Augment. Just select your .obj, its .mtl and the folder textures when compressing. To upload a model into Augment, check out our dedicated article: How to import a 3D model into Augment.